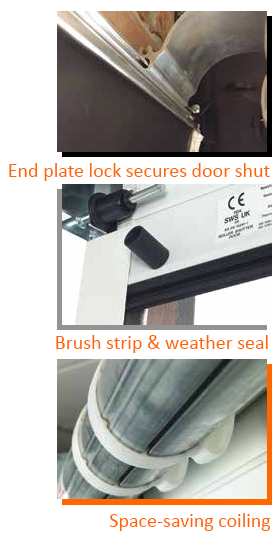 The SeceuroGlide Excel proves itself as an electrically operated roller door unlike any other, offering levels of security and advanced specifcation never used before with any roller garage door. 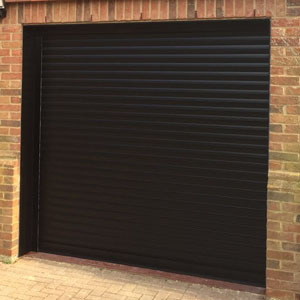 A product for the security conscious home-owner, the SeceuroGlide Excel adds the highest available security specification to the original SeceuroGlide, an insulated roller door that is quality as standard that has been in production for over ten years now. With domestic burglaries seemingly increasing year-on-year, the Excel becomes a most desirable product when a roller door is required. 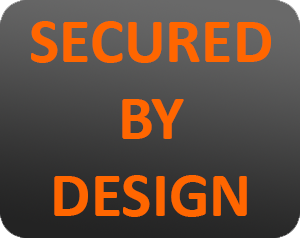 It is especially key to note that the Excel has been awarded with the prestigious Secured by Design accreditation, an initiative established in order to 'design out crime'. What makes the Excel so secure? The door curtain consists of aluminium slats that are insulated, which in itself thickens and strengthens its properties. These slats lock firmly into place upon closure, and with the unique slat anchors at the bottom of the door, a sturdy door is created that can resist break-in attempts. The Excel is fitted with a unique and patented system that locks and secures the door automatically upon every closure. Also manufactured with steel end plates, and with its curtain webbing assembly system, the door's security is further enhanced. The SeceuroGlide features high level, steel teeth to secure the door down further, creating increased leverage in case of forced entry attempts. 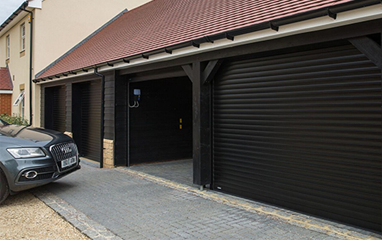 The unique properties featured on the Excel unlike other roller doors have resulted in it obtaining the Secured by Design specifcation, the first roller garage door in the UK to do so. Wide range of low maintenance colours including textured woodgrain finishes to exactly match the latest generation of UPVC windows and doors available. The SeceuroGlide is electrically operated as standard, seamlessly combining security and convenience. Every door comes with two remote controls which come in a variety of styles, enabling you to operate the door without leaving your car. SWS's SeceuroDrive motors are powerful and reliable systems for the SeceuroGlide doors, with a fantastic 7 year warranty. A tight coiling curtain design and discreet optional cover boxes maximise the drive-through height of your garage - ideal for larger vehicles such as 4x4's or people carriers. There is no intrusion into the overhead storage space within many garages and with no 'kick-out when operating you can park right up to the door and still open and close. This is particularly useful with a short driveway area. Safety is a fundamental concern in the continuous development of the Seceuroglide range. All Seceuroglide doors are fully CE compliant and come as standard with safety edge collision detection and anti-fallback devices where required. Additional safety can be obtained in public areas by using infra red safety beams. All doors are supplied with a built-in courtesy light and an internal manual override. Insulated foam filled slats, combined with superior guide rail inserts, bottom rubber seals and a curtain that finishes higher than competitors designs all help increase energy efficiency and reduce heating costs. A typical U-value is achieved of 5.2W/m2K. 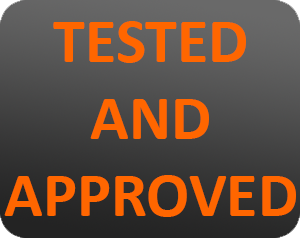 Each door is backed by a comprehensive two year guarantee covering all manufactured parts. In addition the Somfy tubular motor is supplied with a full five year manufacturers warranty, and textured woodgrain finishes carry a limited 10 year guarantee. Roller garage doors in general allow for more versatile and trick applications. Arched garage openings are no problem for the SeceuroGlide Excel roller garage doors. 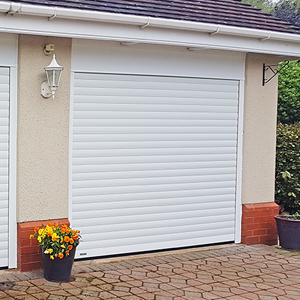 Each one is made to order for a perfect with your garage opening, and are available in a choice of fifteen low maintenance finishes. A bottom slat safety sensor ensures no harm will come to any obstruction that may be underneath the door when closing, the door will simply reverse as soon as it touches any obstruction. 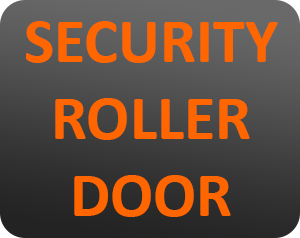 The Seceuroglide Excel roller door is perfect for any arched opening as it never passes through the structural opening during the opening or closing cycle. 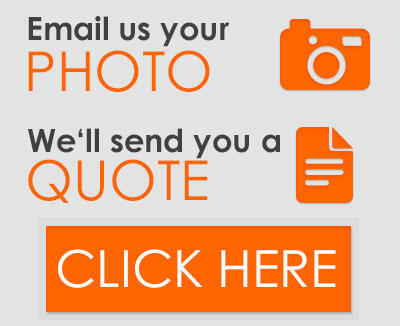 Do not hesitate in dropping is an e-mail or call with any questions you may have! 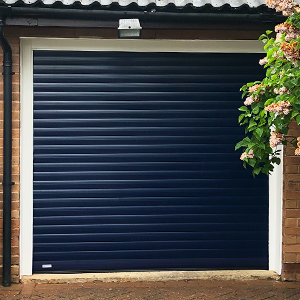 SeceuroGlide roller doors are available to view in our Northamptonshire showroom, based in Wellingborough, ready for you to view and try for yourself.